She said: “I first heard about the placement at the Creative Futures week which the university holds each year. 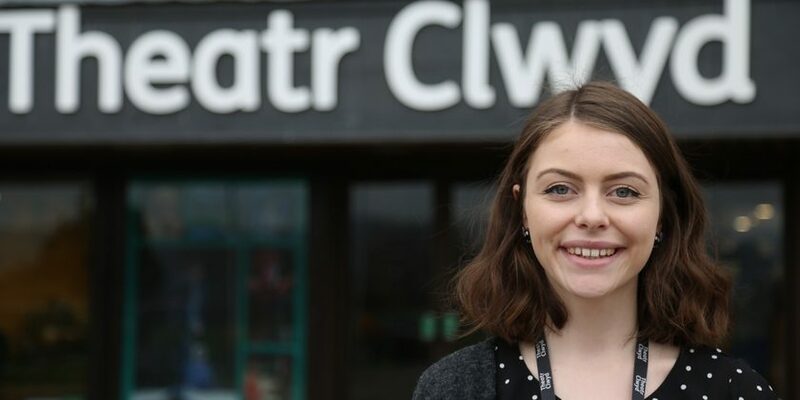 Having been impressed with what she heard at Creative Futures, Megan applied – and was successful at securing her placement with Theatr Clwyd. 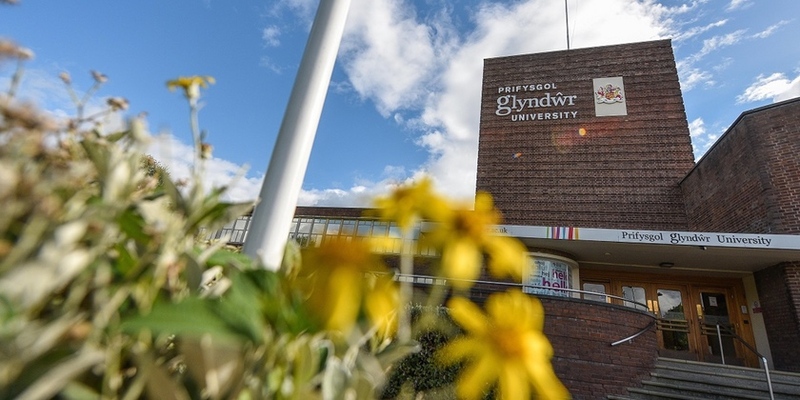 She returned to the university last week alongside staff from Arts and Business Cymru to talk about the benefits of the scheme and how it has boosted her confidence and developed her skills. She said: “I really liked my course – you really felt like you were being supported with your work all the time you were there. I also had a lot of support from the careers department, who helped me to develop my CV. “You also get to speak to a lot of businesses about your work, and are given guidance in how to set up your own business – that was really good! “I spoke with Sainsbury’s Home at New Designers, an exhibition which helps you get out there and get your work noticed. “After the event, ten out of 3,000 exhibitors were talent spotted, and I ended up having an interview with them about my work for a design post – I didn’t get that post but they were really interested in me staying in contact with them – so we will see what happens there! A spokesman for Arts & Business Cymru said: “Our Creative Internships Programme is in its 6th year and focuses on developing the next generation of arts fundraisers. “Wales has, for some time, suffered from a lack of skilled professionals in this crucial field. “The need to ensure a funding mix is crucial to survival and arts organisations across the country now recognise that investing resources into this area is the only way to ensure sustainability. “However, the number of professional fundraisers in Wales cannot begin to keep up with the demand for such services. “The only way to increase this vital pool of professionals is to find a way to attract new graduates into a career in fundraising and this is where the programme comes in. Daniel Porter-Jones, Director of Development at Theatr Clwyd and Megan’s Manager and Arts Mentor, added: “Theatr Clwyd has been a first time beneficiary of the programme in 2018/19. “We have already enjoyed significant benefit from the additional resource but more importantly we have a wonderful, energised and talented new member of the Theatr Clwyd team. For further information on applying to the Creative Internship Programme, please see the A&B Cymru website.